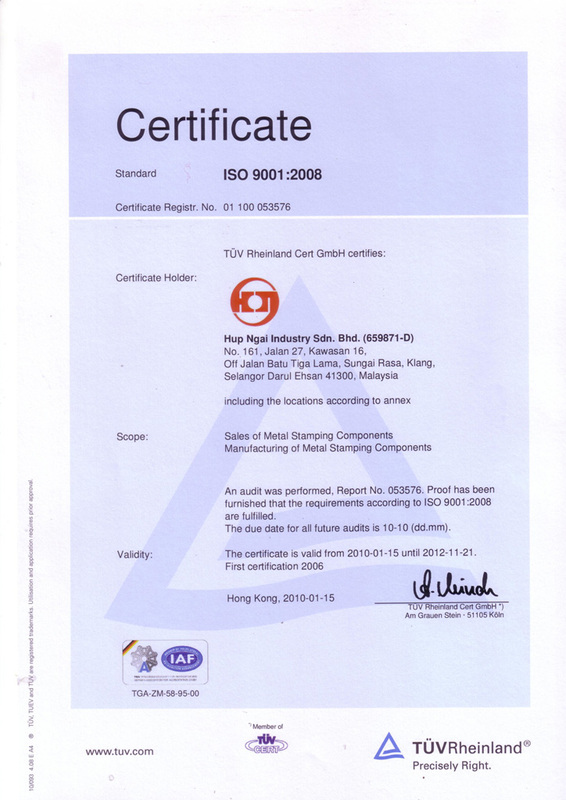 Hup Ngai Industry Sdn Bhd (formally known as Hup Ngai Engineering Works Company) was established in 1973 with the aim to provide high quality toggle clamps, toggle link clamps, machine mounts, anti-vibration mounts, heavy duty cabinets and etc., all of which are proudly trademarked “JS CLAMP”. Today, JS CLAMP quality products are highly in demand in the domestic and foreign markets. 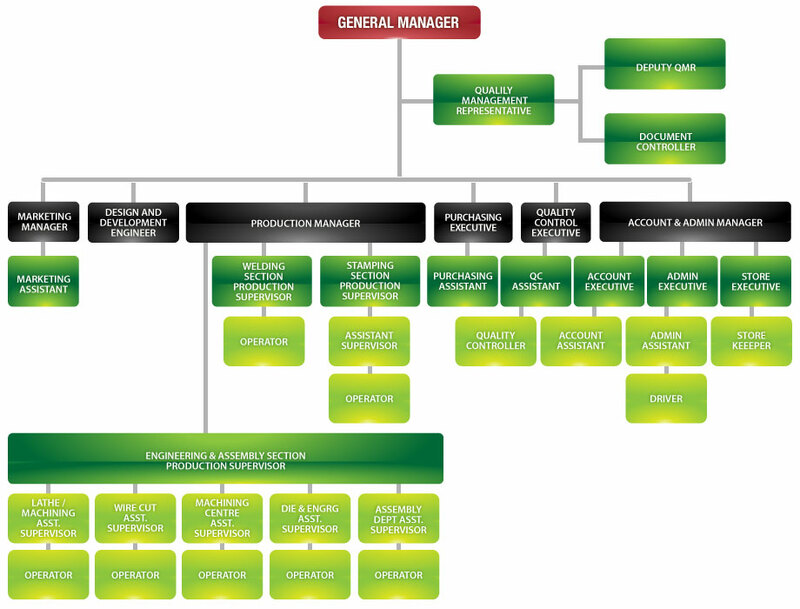 Our management team consists of highly qualified and experienced professionals, particularly in the high quality toggle clamps, toggle link clamps, machine mounts, anti-vibration mounts and heavy duty cabinets market. 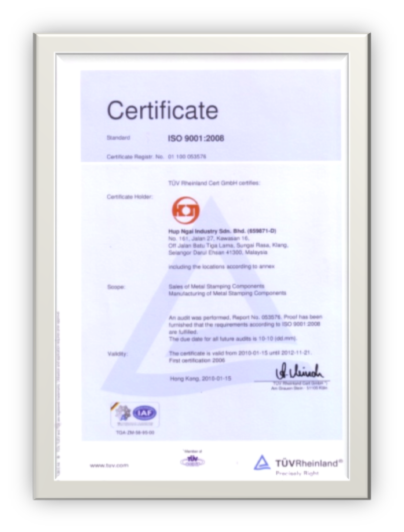 The Quality Management System implemented by Hup Ngai Industry Sdn Bhd is also well documented and operated in accordance with the International Standard requirements BS EN ISO 9001:2008. From our experienced management team to our knowledgeable engineers, manufacturing and professional staff, we consistently deliver results in today's ever-changing environment. At Hup Ngai Industry, our priorities lie in exceeding the needs and expectations of our Clients’ as well as excelling in our business objectives. Our mission statement is to strengthen our productivity and continuously improve our service and to have you select JS Clamp as you favorite supplier for high-quality grade toggle clamps, machine mounts and heavy duty cabinets. Minimize product and process non-conformance. Maintain product quality and reliability. Engage our employees to support our policy. Compliances of regulatory, statutory and other requirements. Thank you for your interest in Hup Ngai Industry Sdn Bhd and JS Clamp Sdn Bhd. Since our first establishment in 1973, our humble mission remains the same; which is to offer the metalworking industry high quality toggle clamps, toggle link clamps, machine mounts, anti-vibration mounts and heavy duty cabinets. Today, we are proud to say that JS CLAMP products are in use not only in Malaysia but also in oversea markets due to its robustness, high quality and ergonomic design. All of this was made possible by the extraordinary efforts of our team, to whom I would like to express my deepest appreciation. We intend to continue advancing our technology and industry know-how in 2012, and thank our customers for making JS CLAMP products their number one choice.